Adding a touch of black pepper really highlights the other warm spices included in this squash pie. 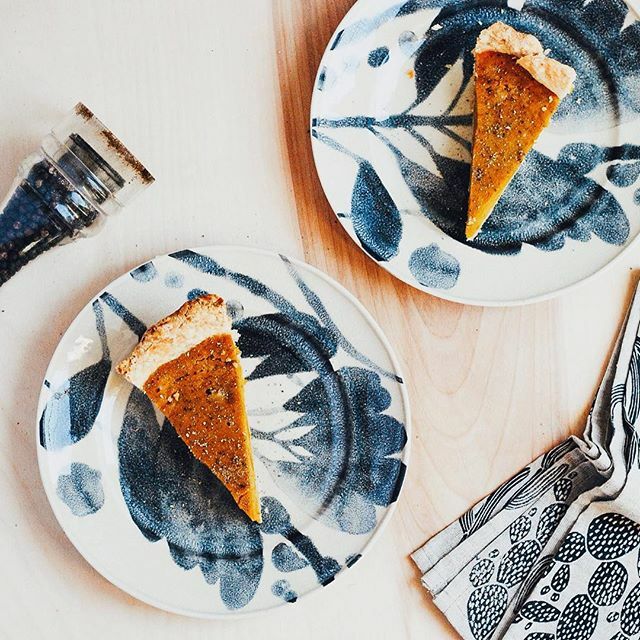 Feedfeed Tip: Make your pie dough and kabocha squash puree and stash it in the freezer. Defrost both two days before the big day overnight in the fridge and bake the pie off on Thanksgiving eve. Radicchio can be quite bitter, but the sweet persimmons add a nice balance of flavor here. 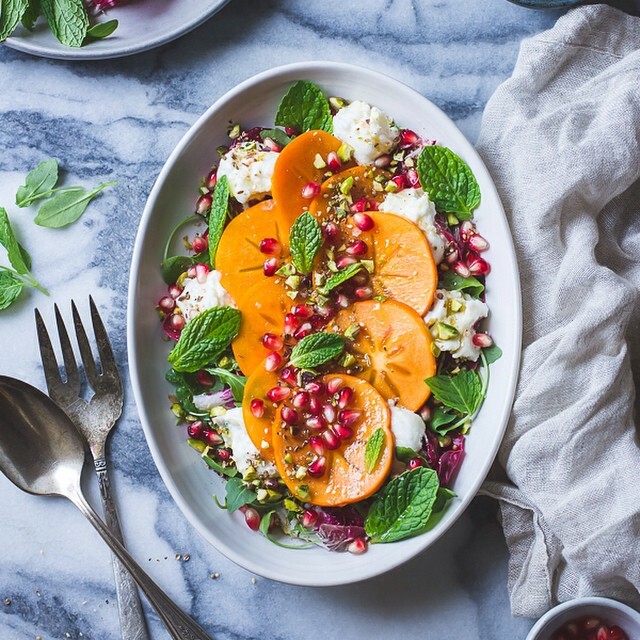 Feedfeed Tip: You can put this dukkah together way in advance (and make a double batch because you'll want to use it on everything!). You can also make your vinaigrette ahead as well, just be sure to bring it to room temperature before serving. Truly root to stem, the whole carrot (stem and all) is used in this simple dish! Adding a pesto makes standard roasted vegetables more interesting and flavorful. 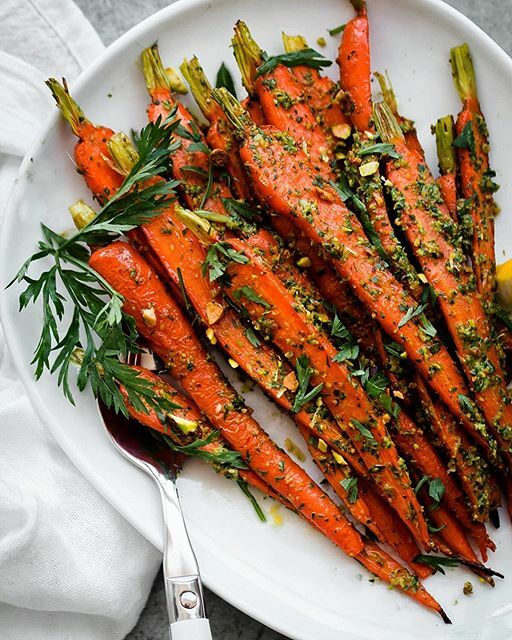 Feedfeed Tip: You can make your carrot top pesto and store it in the freezer until you are ready to serve. Serve this shrub over ice with a splash of bourbon for the perfect holiday cocktail. 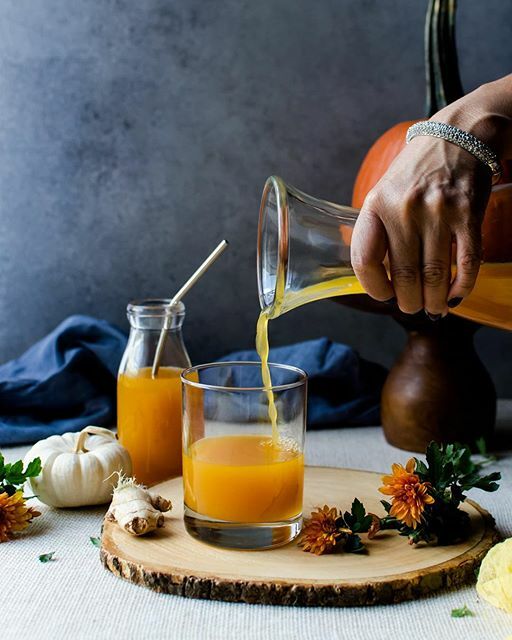 Feedfeed Tip: This shrub needs to sit in the fridge for at least 48 hours before using, but will keep in an airtight container for up to two weeks in the fridge once you strain it. Ever harvested fresh horseradish? It takes a little elbow grease, but you can’t beat the punch of the freshly dug root and we love the bite it adds to mashed potatoes. Feedfeed Tip: Make your brown butter and store it in the fridge. Just reheat in the microwave before using. Every fall we harvest wild cranberries as a family and freeze our bounty to enjoy all winter long. I love the idea of including these beautiful, tart berries in stuffing! Feedfeed Tip: Cube and toast your bread ahead and MEP (Mise en Place!) 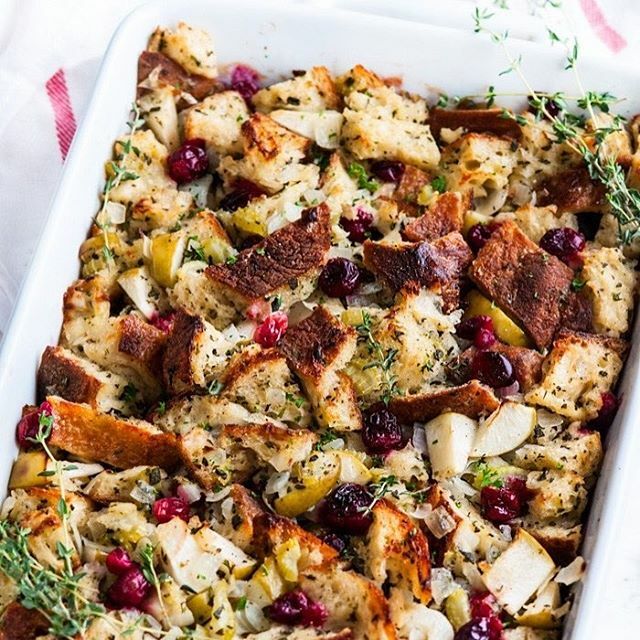 all of your onions and herbs and store them in the fridge so you can assemble this stuffing in a snap. Using bright and colorful rainbow carrots take standard crudité to the next level. 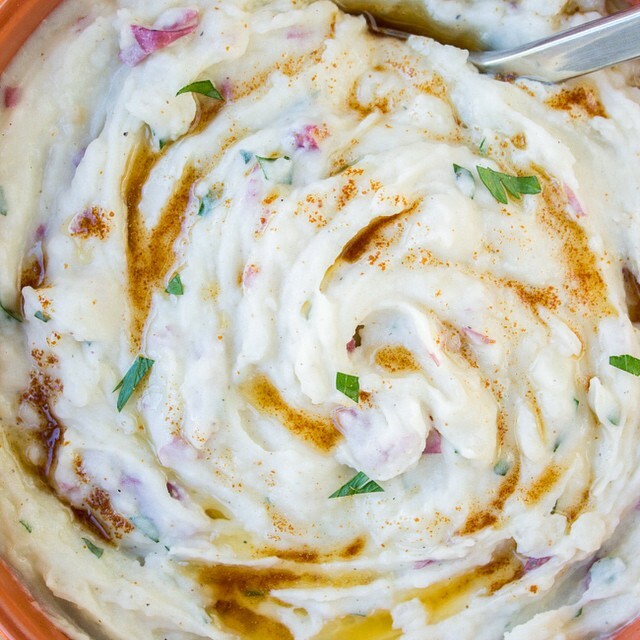 They make the perfect vessel for this creamy cauliflower dip made with greek yogurt! 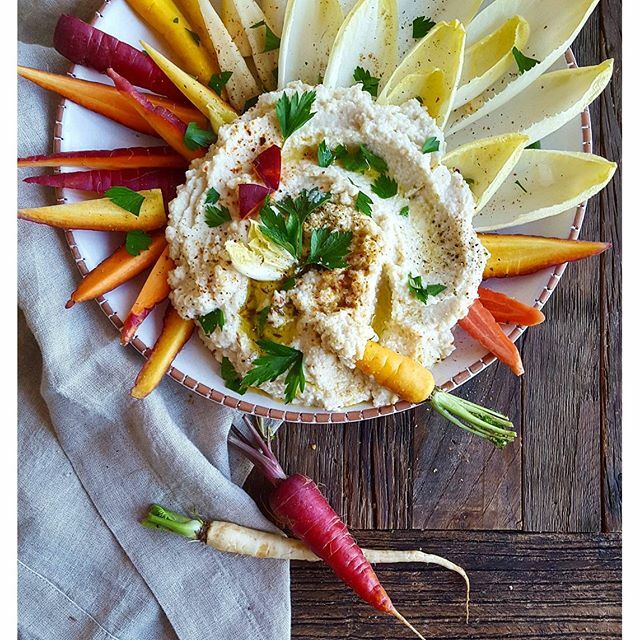 Feedfeed Tip: Make this dip ahead (up to three days in advance) so you have it at the ready when hungry guests arrive. 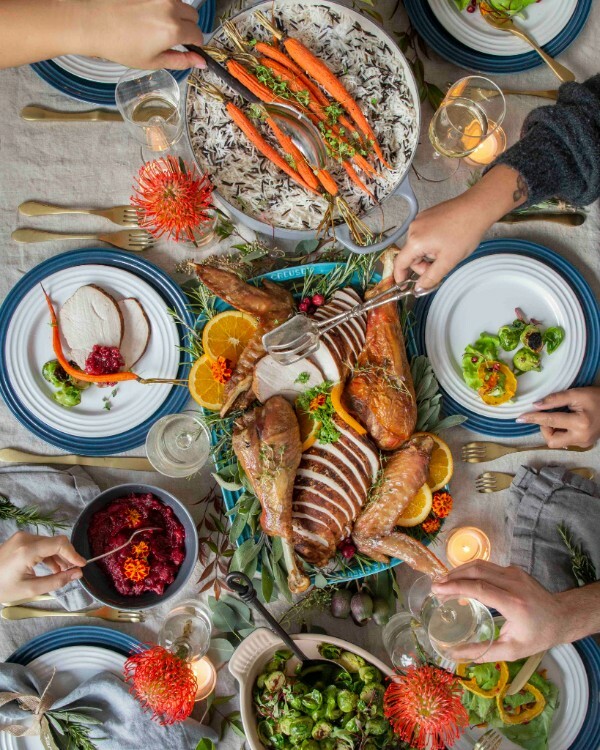 Depending on when you would like to eat and how big your turkey is, you'll want to plan for about 15 minutes of cooking per pound, plus one hour and 15 minutes for prep time. 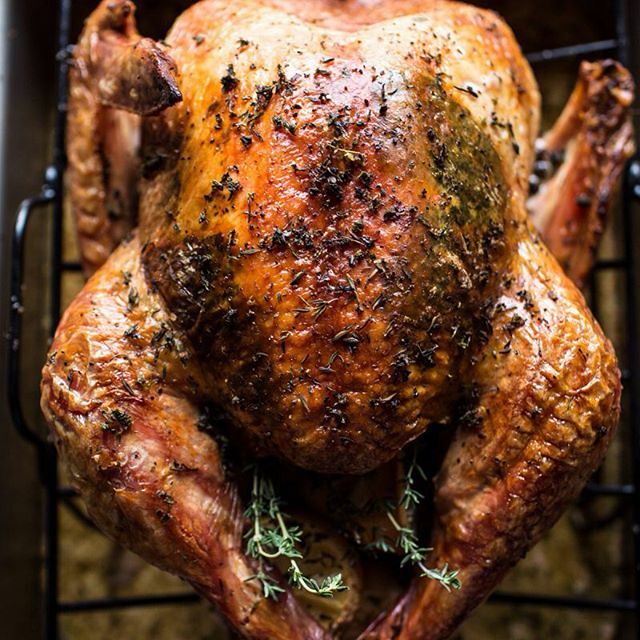 Letting your turkey sit at room temperature for one hour before roasting is key. It will help speed up cooking time, allow the bird to cook evenly and allow the skin to dry out so it can crisp up. Need more Turkey Tips? Click here.